25% off through February 8! WOO HOO!! 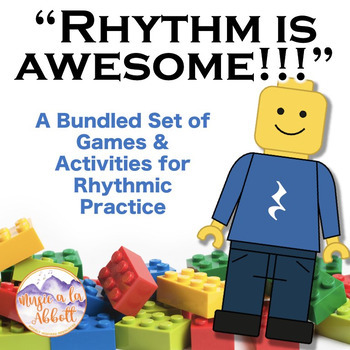 Rhythm is AWESOME!!!!! 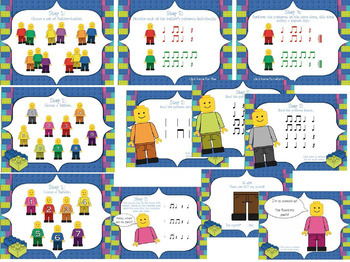 And your students will have fun reading, performing, decoding and writing rhythms with this set of interactive PDFs, games and worksheets! 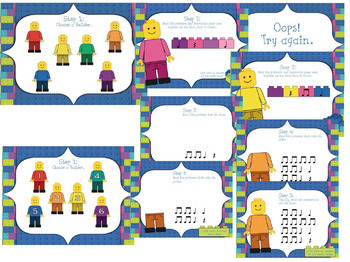 Please note this set is included in The Rhythm is AWESOME bundled set. It is MUCH more cost effective to purchase these games in the bundled set. 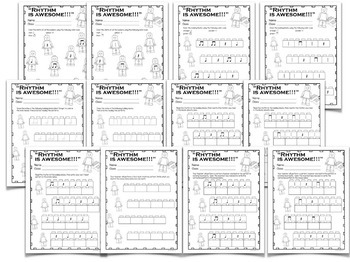 Please note that all note values are unlabeled; that is, it will work with the counting system you use as students will only see the notation of the notes and/or a description of the critical attributes of each note. I am using a traditional U.S. Kodály counting system for the purpose of this description only. Your feedback is important! Please follow me for special sales and monthly “Followers-only Freebies”. You can also like me on Facebook.